Decorative Finials and Fence Post Finials are an important component of any post system. Whether you prefer cast aluminum, foam, or wood finials, the most critical decision is the size and shape. At the Sign Bracket Store it is our goal to bring you a wide selection of high quality decorative finials so you can make the right choice. 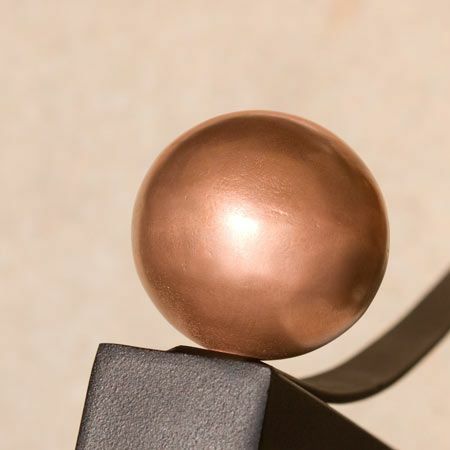 Many of our post finials can be ArmoreCoated in a brass, bronze, copper, or pewter metal finish for a high-end look that turns an ordinary finial into something extraordinary. These ArmoreCoat post finals are coated with real metal. Therefore the copper and bronze finishes will patina naturally and can be polished back out to the original luster at anytime. To learn more about our ArmoreCoat finish option or our new line of steel post finials and caps, just give us a call! Wood finials are another option that top off a fence post and give it that detailed finish. Continue to look to the Sign Bracket Store for all your post final needs as the post finial product offering will continue to grow.